Welcome to this month’s Blogorail Red Loop. Today we are sharing what you can expect when you visit the Disney parks this spring. 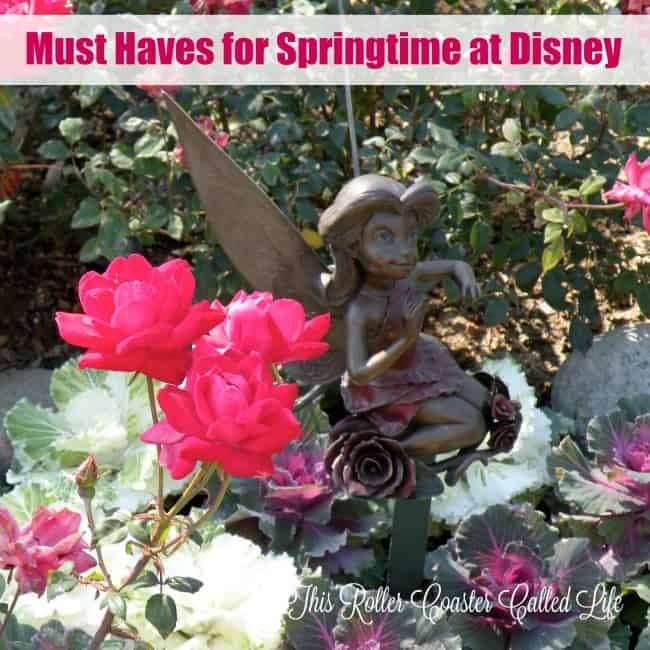 Just about any time of the year is a great time to go to a Disney Park, but there are a few specific things that are on my “must have” list for a springtime at Disney. I was talking to Marvel Boy as we were driving home today, and I told him what I was going to write about. I asked him what he thought I should have on the list. He said that he thought that everyone should take their favorite stuffed Disney friend, shorts, deodorant, and if you have one, your favorite kid on the Autism Spectrum. Gotta love him, right? 🙂 He is ALWAYS on my list to take with me to the parks! He also loves to take Duffy the Disney bear with us on every trip. In fact, Duffy went with us to Hershey last weekend to see the Hershey Bears play hockey. Shorts are also a good idea, but it is important to pack a pair of pants with in case the spring weather turns cool in the morning or at night. The last one on his list is deodorant. This is also a great item to have on the list! I’m sure the people around you in line will appreciate it if you take and use deodorant… Now, on to my list of must haves! It is always important to stay hydrated! 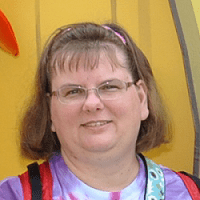 I know that I don’t really think about it much when I go to Walt Disney World because it is so humid, but if I don’t keep up with my water, I regret it later. 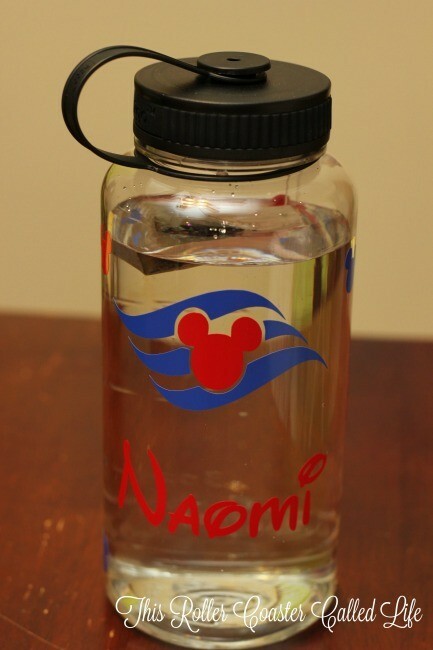 I find it easier to remember to drink my water at Disneyland where it is dryer. So, it doesn’t matter if you take your own water bottle (with or without filter), grab a free cup of ice water at a quick service restaurant, or buy a bottle of water in the park, just make sure to drink your water. 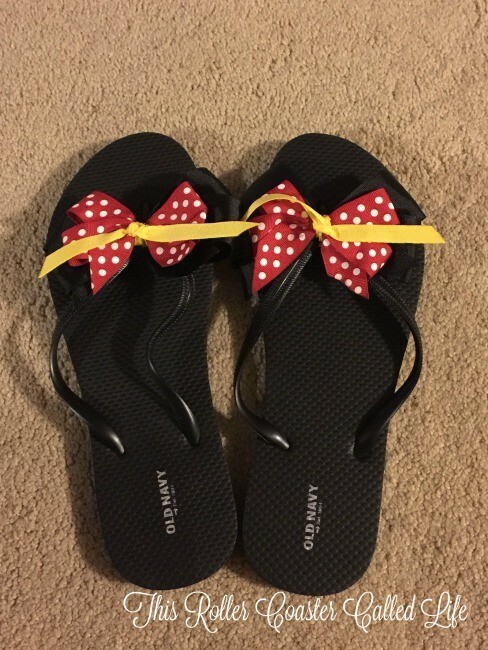 I LOVE those flip flops! I received them in a Fish Extender exchange, and I love how Disneyfied they are. However, they are not really that comfortable for a day in the park. This is more what you will see me wearing around the parks. 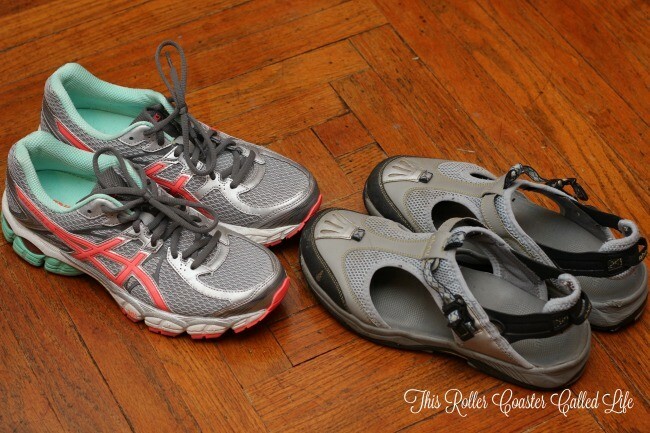 I prefer the tennis shoes, but if it is going to rain, I stick with the sandals. They tend to dry faster, and I can wear them without socks if my socks get wet. Also, my feet thank me at the end of the day when I wear shoes that have good arch supports. 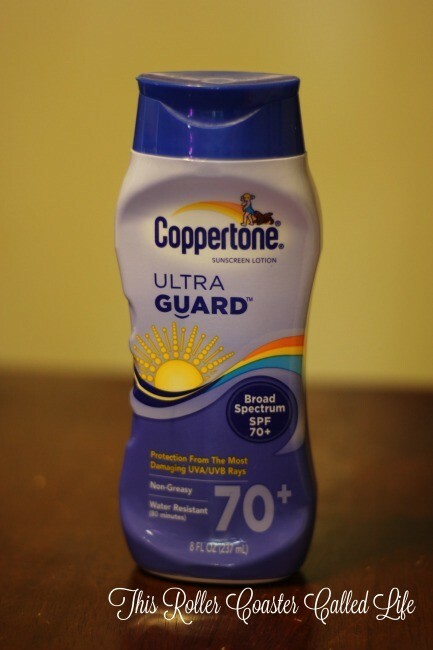 It doesn’t seem to take very long for me to get sunburned when I’m at Disney, so sunscreen is high on my list every time I go. However, sunscreen is more important to have as we head from winter into springtime when we are wearing more shorts and swimsuits. As we head into springtime, the weather is often warm enough to stick with summer clothing. However, it can still be cool in the morning and in the evening. I always make sure to pack light jackets for all of us. They even come in handy when eating in some of the restaurants that keep the temperature rather cool. We also try to pack a small umbrella. [Yeah, don’t ask me about the umbrella I had to buy back in 2009 while waiting in line for the Candlelight Processional in heavy rain…] We now try to be prepared. 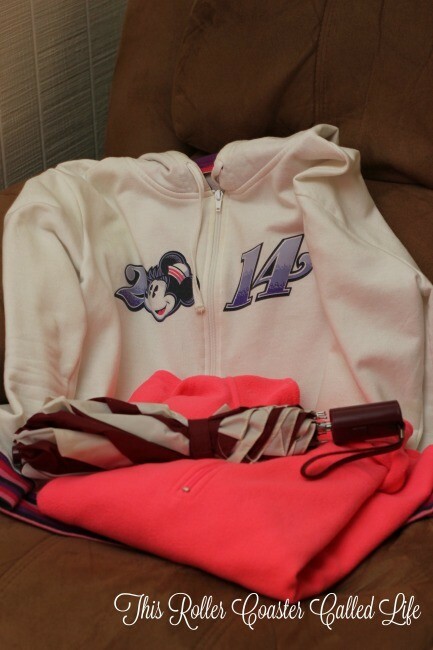 It is cheaper to bring our own umbrella or even rain jackets or ponchos from home rather than purchasing at Disney. The picture above was a springtime trip to Disneyland. I really didn’t expect it to rain as many days as it did, but we were sure glad to have the jackets with us on that trip! I LOVE taking pictures at Disney. Sometimes, I go light with just a phone camera. Sometimes, I take my DSLR and my phone camera. Sometimes, I take both the DSLR and phone camera while adding in a waterproof camera for times when it is raining or when we are swimming. I have a backpack camera case that came with a rain cover, so I’m ready no matter what. 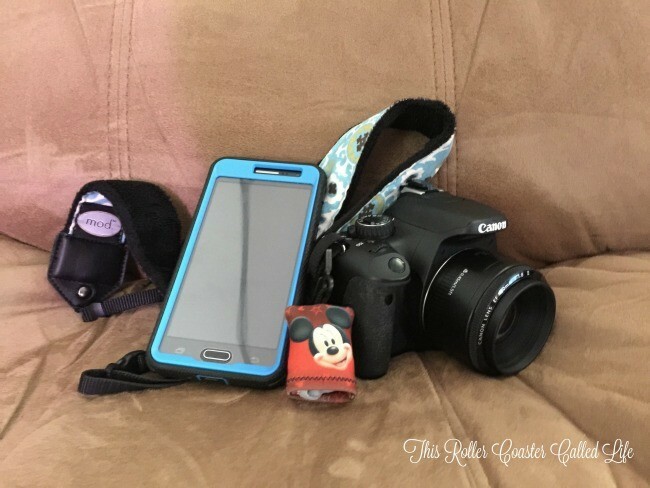 These are my must haves for springtime at Disney. What are your favorite things to take on your springtime Disney trip? Great Recap… Don’t forget the extra batteries, or chargers!! Thanks for the blog. I love this time of year…but it can be so unpredictable weather-wise. Good call on all the gear! yeah, best to bring your own stuff, cause Disney prices are higher than WalMart! 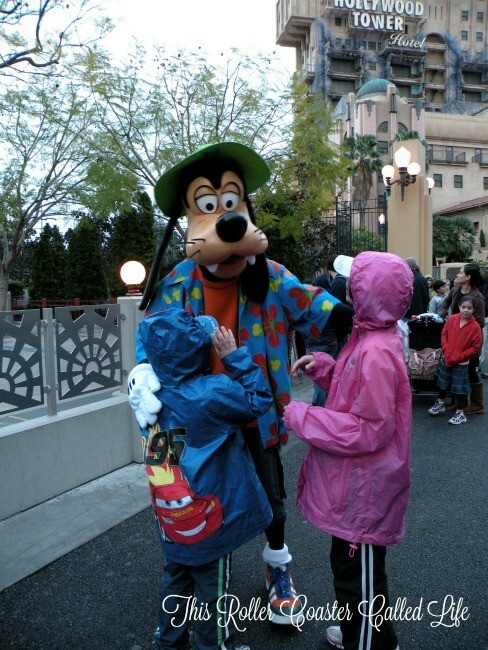 LOL We like to bring our old Disney rain ponchos with mickey on the back! Great list! I think the water and sunscreen are sometimes harder to remember in the spring since it’s not blazing hot!